-- Professional outdoor car stickers PVC material, high quality, high strength and durable. -- Long life service, the color of this sticker is non-fading and bright. 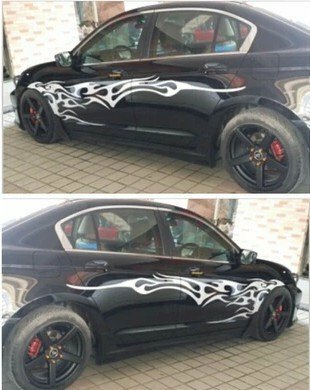 -- Fashionable and creative flame Totem Decals, making your car different and unique. -- Come with automotive grade adhesive tape on back side, easy to install and strong adhesive properties. -- As a perfect decoration for your car, making your car more striking and beautiful.